The Executive MBA of TUM School of Management offers the opportunity to learn a lot about leadership, management, and especially about yourself. Our unique personal leadership profile will help you understand how others see you and how you can improve your skills and behavior. While building an important network for your future, you will meet a diverse group of classmates, lecturers and practitioners and combine the knowledge gained in the different modules, including the one abroad. The two-year program allows you to tailor the program to your individual preferences through the choice of elective modules. While being a part-time program, it allows you to combine your private life, work schedules and further education. As a degree program of TUM School of Management, the Executive MBA for Executives and Managers is triple-accredited by AMBA, AACSB and EQUIS. This module explains and evaluates the basic concepts, tools, and methods of strategic and organizational management. Learn how to deal with the various groups of stakeholders involved in business processes: customers, shareholders, the general public, and legal entities. Gain an understanding of theories and approaches to entrepreneurship and innovation management and learn about digital transformation as a key driver for fundamental changes in business models and processes. Learn to understand and create methods, instruments, and processes of change management, while taking an efficient approach to communicating these change initiatives. This module will explain the elements of leadership systems, together with their proper usage and adaptation depending on the context. The study trip to Tsinghua University, Beijing, focuses on social and economic dimensions of international management. It includes lectures, company visits and the possibility to explore culture and country. Get familiar with financial statement analysis, the valuation of stocks and bonds, asset management, and target cost management. The Elective Modules allow you to expand the depth of some of the topics covered in the Core Modules to help you develop skills and increase knowledge in specific areas of your personal interest. Each student is required to complete two out of a total of five elective modules offered in the program. A variety of opportunities for personal development such as presentation skills, story-telling or the individual leadership style analysis. Do you plan to start your Executive MBA in spring this year? Please get in touch for us for a personal consultation. The personal interviews will take place in the four weeks following each application round. They also represent a wide range of nationalities of more than 20 in the previous years to date: Austria, Brazil, China, Finland, France, Germany, Greece, Iran, Ireland, Italy, Mozambique, Poland, Romania, Russia, Sweden, Spain, Syria, Taiwan, Tunisia, Turkey, Ukraine, United Kingdom, USA, Venezuela. The Executive MBA at TUM School of Management is the solid extra mile all managers need to go in order to stay ahead of the business, the market and the innovations coming up. What I like most about the program is broadening and reflecting my knowledge and discussing with professors, lecturers and within the group! It is very helpful for my personal and professional growth. How do you run a company professionally? How do you successfully implement change? The Executive MBA teaches just that through its excellent lecturers, who have mastered a wide range of modern teaching methods. 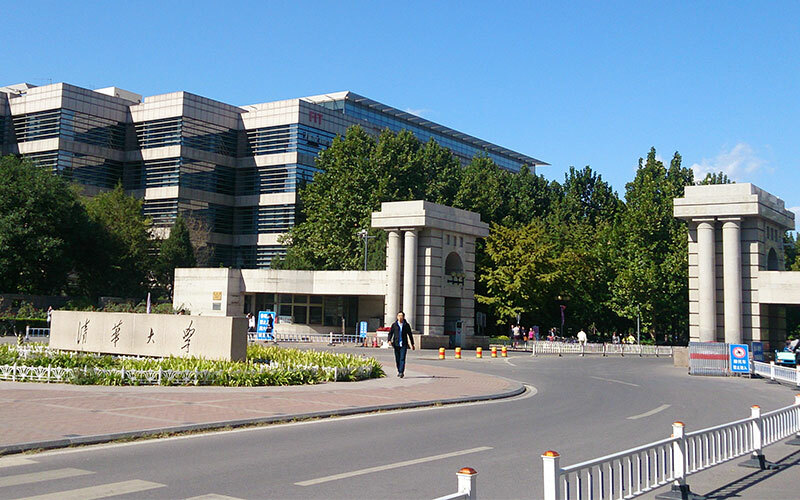 For many years, TUM has enjoyed close strategic cooperation with Tsinghua University in Beijing. As a result, our EMBA students have the opportunity to study at one of Asia’s most renowned universities. The two-week stay in Beijing provides an overview of one of the world’s most dynamic economies and its political, historical and cultural features. Particular attention is paid to the specifics of communications in China in the media as well as criteria for doing business in Asia. In addition, company visits and evening sessions with experienced entrepreneurs paint an authentic picture of economic life in China. Our download section offers further information on the program and the application process. Please do not hesitate to contact us via phone, Skype or e-mail if you have any further questions. We appreciate your interest in this MBA program. For a first consultation and questions related to the content and structure of the program, please get in touch with the Program Managers. Do you have questions regarding the application process? Then get in touch with the Admission Manager.